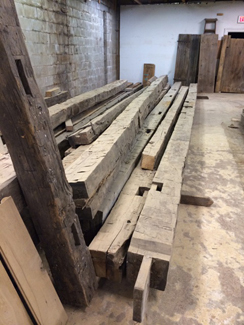 We warehouse an inventory of gorgeous reclaimed woods that have aged naturally for a century or more. 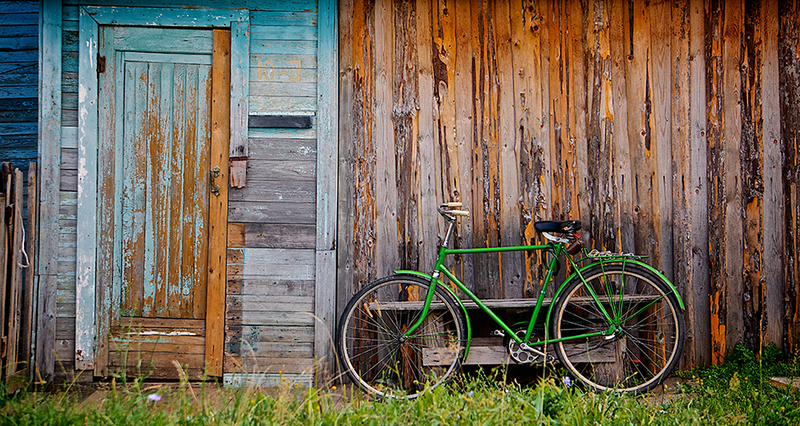 They come from sources like old barns, abandoned schools and mills, warehouses and factories that fell into disrepair. They also come with a history, and they invite your clients to bring their own stories and create a new heritage together. Naturally weathered by a century or more of use, our reclaimed woods are rich in grain, beautiful in color, and rock solid with age. As first or second growth timber, now unavailable for environmental reasons, our wood provides a strength, stability, integrity and beauty unavailable in fast-grown new wood. Our reclaimed wood flooring comes in a wide range of species and widths. Each floor is custom milled to your specifications. 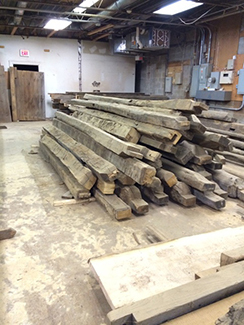 All of our flooring is milled from reclaimed or salvaged wood. Installation of a Restoration Timber floor is easily achieved using the same techniques as other tongue and groove flooring resulting in a one-of-a kind wood floor. We can also manufacture engineered flooring using most of our reclaimed woods. Dramatic impact. A balance between contemporary and country. 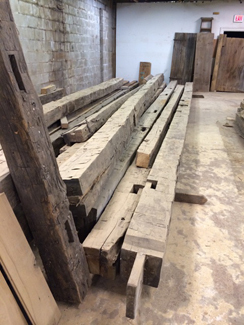 Our antique hand hewn beams and original rough sawn beams are reclaimed from old barns and industrial buildings. Once found, the timbers are denailed and cleaned of a century or more of dirt to reveal an aged patina that only nature can produce. 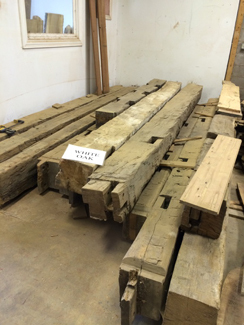 Beams are available Hand Hewn, Original Rough Sawn or can be resawn with Fresh Faces to meet your needs. Call us so we can help you decide!